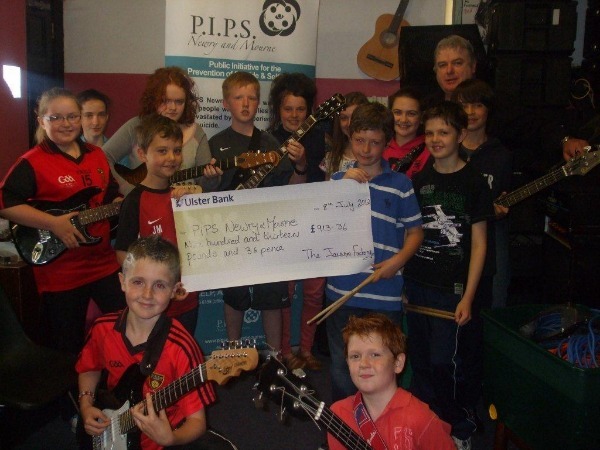 Musicians from The Jammin' Factory performed in Amplified recently and raised a total of £913.36 for PIPS Newry & Mourne. Pictured with Peter McAnulty are some of the young musicians who took part in the very successful event. PIPS Newry & Mourne would like to thank Peter and everyone involved for their kind donation to our organisation.